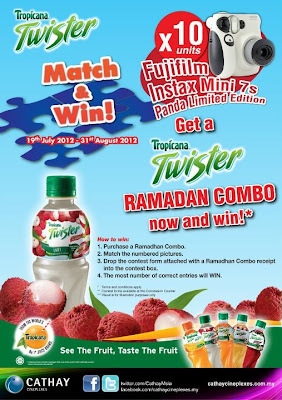 Drop the contest form attached with a Ramadhan Combo receipt into the contest box. The most number of correct entries will WIN. Visit Cathay Cineplexes Facebook fan page for more details. Watch The Dark Knight Rises trailer! in cinemas, 19 July 2012!